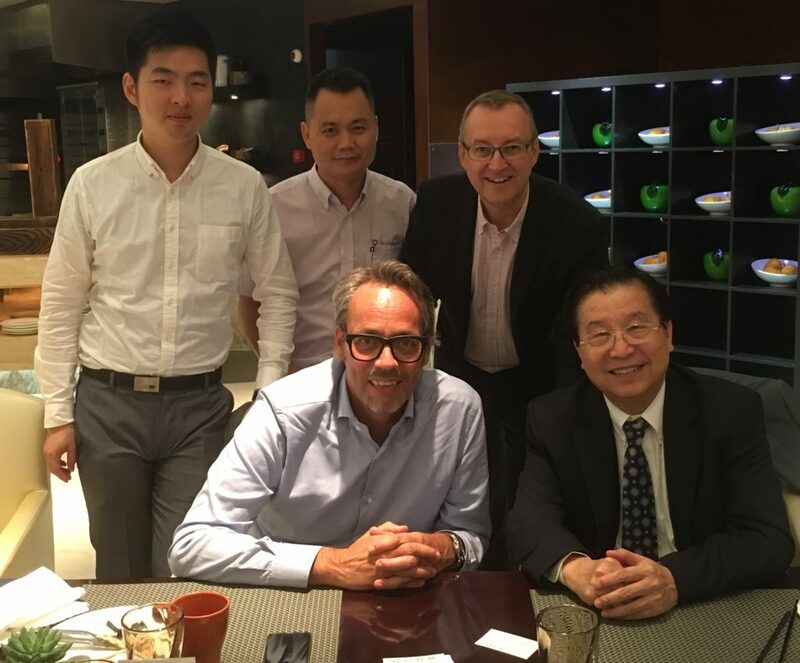 During the quarterly CAF Meeting that took place in Shanghai on 6 June 2017, TecAlliance Asia, represented by Matthias Moritz, Managing Director Asia and Cao Yuliang, Business Development Manager East Asia, met Bas Donders, Director Marketing and Sourcing and James Zhang, Business Development Manager Asia Pacific of Nexus Automotive International. Nexus Automotive International is a global alliance of leading car parts distributors in the Automotive Aftermarket. TecAlliance is supporting Nexus members in China by introducing dealer-related product and services to help to grow their business. The China Aftermarket Forum, chaired by Dr. Yilong Chen, Managing Director MEMA China, is a meeting point for Automotive Aftermarket Manufacturers do discuss common topics and aimed to support the members’ businesses. TecAlliance China is participating since the CAF founding year 2007 and provides regular updates of its activities. Representatives from TecAlliance China and Nexus Automotive International at the quarterly CAF Meeting in Shanghai. Front, from left to right: Bas Donders (Director Marketing and Sourcing, Nexus) and Dr. Yilong Chen (Managing Director MEMA China), back, from left to right: James Zhang (Business Development Manager Asia Pacific, Nexus), Yuliang Cao (Business Development Manager East Asia, TecAlliance Asia) and Matthias Moritz (Managing Director Asia, TecAlliance Asia).